Hello and welcome!! 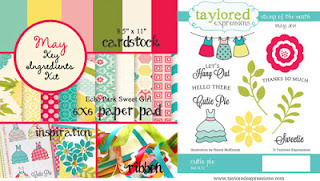 Today is another fabulous round of projects with the May Key Ingredients and the May Stamp of the month from Taylored Expressions. Now, it is time to hop on to Carole Burrage's blog to see what she has put together with these awesome products. Amy this is insanely cute! I love every inch of this. The doily is just the perfect touch! This is adorable! Love the sweet doily peeking out and the dresses on the frame die cut are so cute! Love it! Very cute card. My kit arrived this week. Good inspiration to get me started. Just darling, Amy! 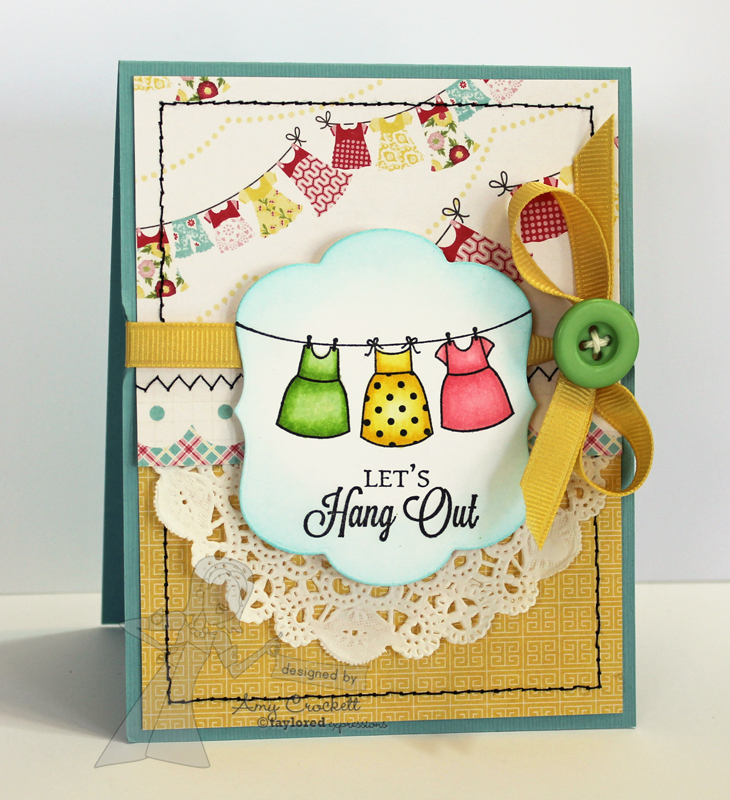 Love the sweet doily with this! Pretty card and the stitching just pulls it all together. Very fun! Darling card, Amy! Great coloring and details! What a sweet card Amy. Love the sweet image and the pretty colors. The doily looks great! This is so sweet! I love the way you combined the clotheline stamp with the patterned paper. And the doily is the perfect special touch!